Something is happening. Wars, both national and internal, are being waged in jungles, across borders, in the streets of Lima, in the intimacy of New York apartments. 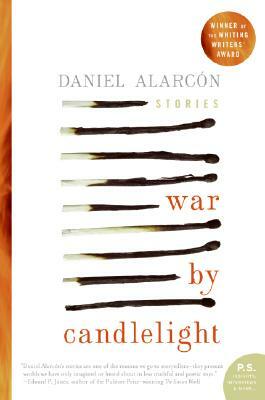 War by Candlelight is an exquisite collection of stories that carry the reader from Third World urban centers to the fault lines that divide nations and people -- a devastating portrait of a world in flux -- and Daniel Alarcon is an extraordinary new voice in literary fiction, one you will not soon forget.